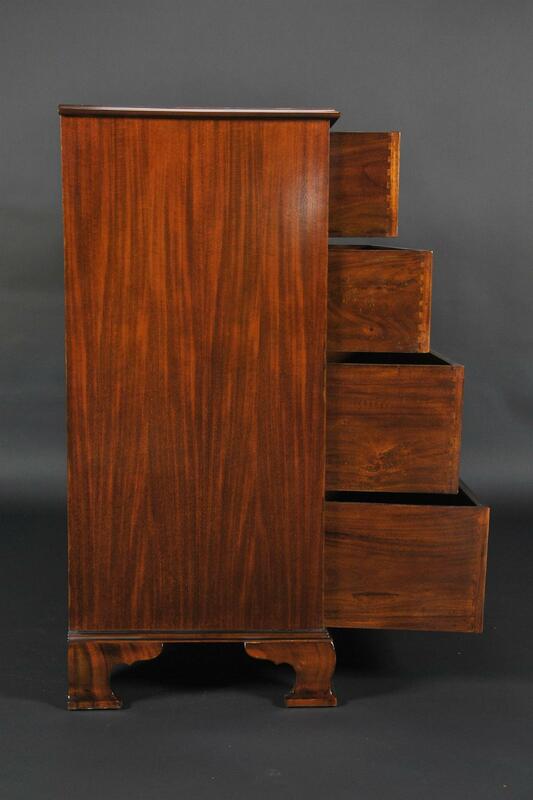 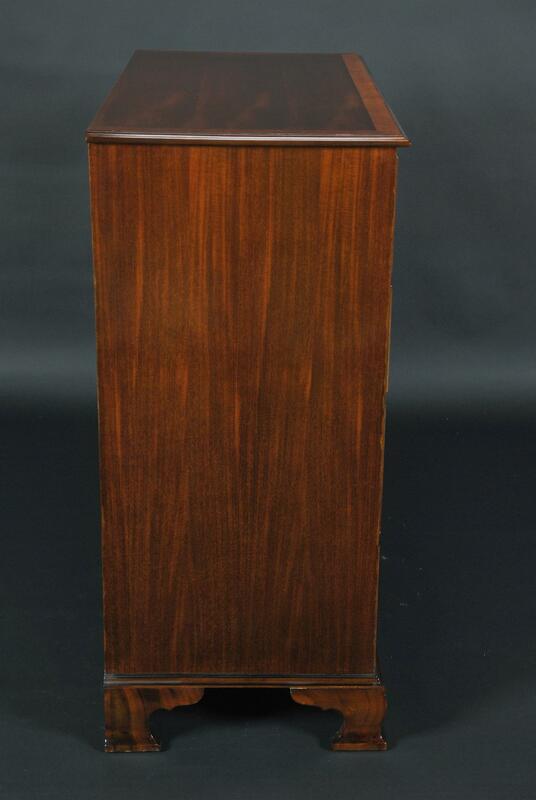 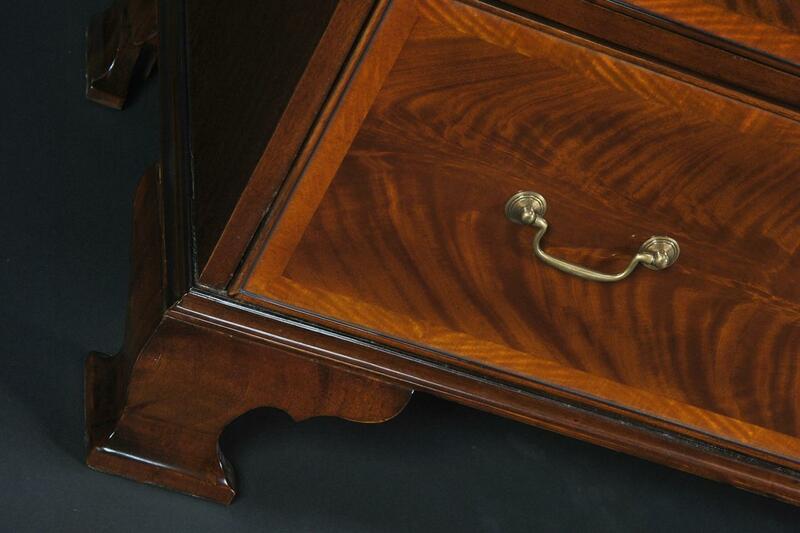 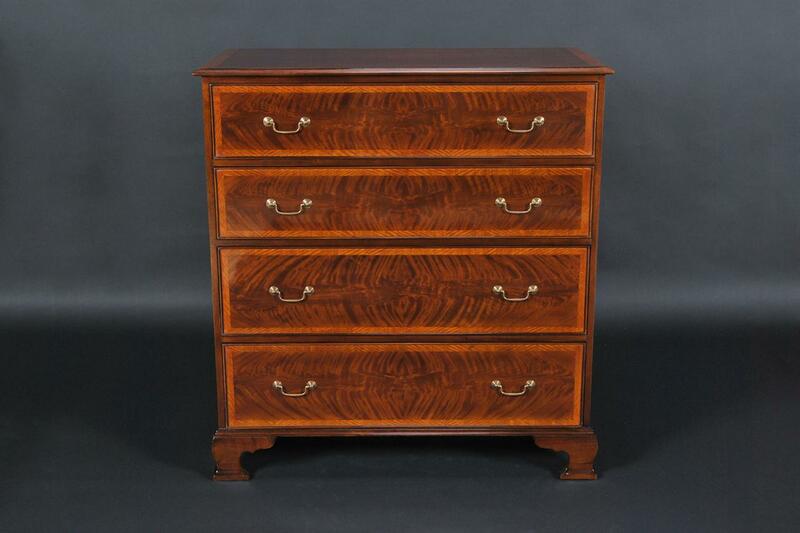 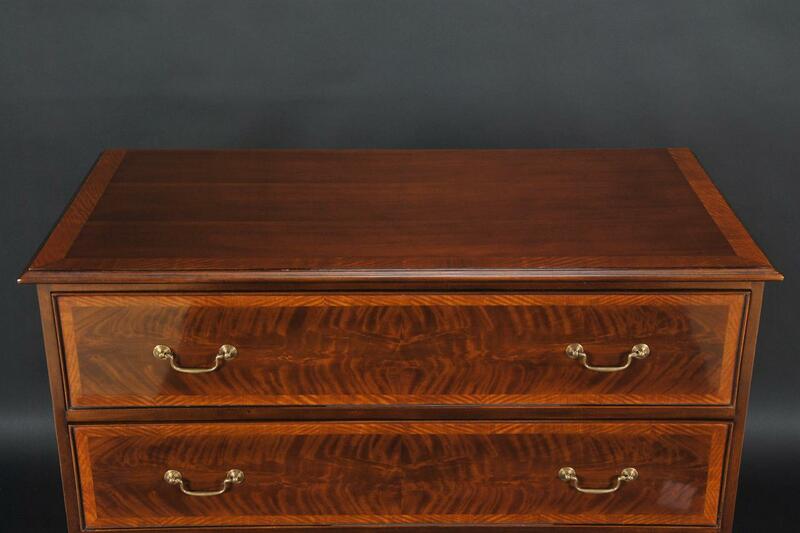 Description: A fine quality chest of drawers featuring traditional English styling. 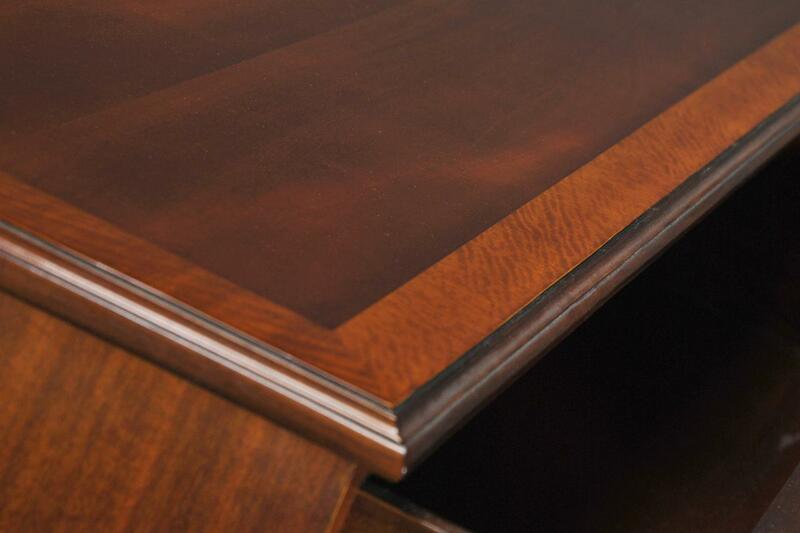 Satin wood veneers surround the drawer fronts and offer a fine contrast to the swirl mahogany field in the center.. 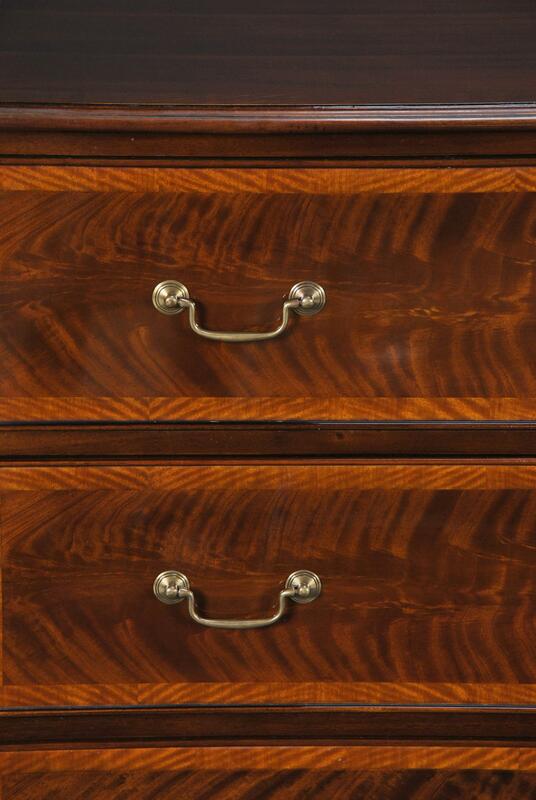 Solid brass handles and dovetailed drawers are sure signs of the quality construction that went into creating this piece of furniture. 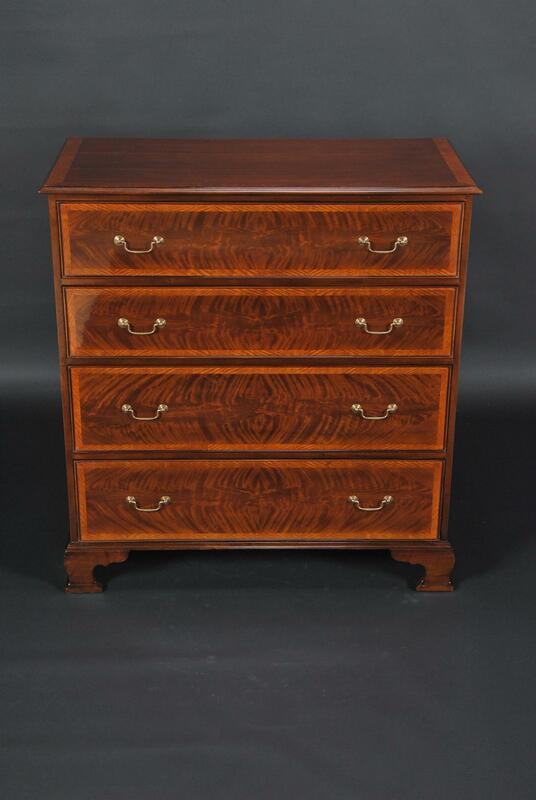 Plenty of storage here for all of your items, these drawers are deep and long.